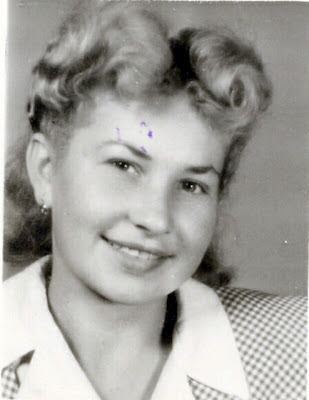 February 18 is my Mother's birthday! Happy Birthday mom! Boldog Születésnapot, Anyukam! 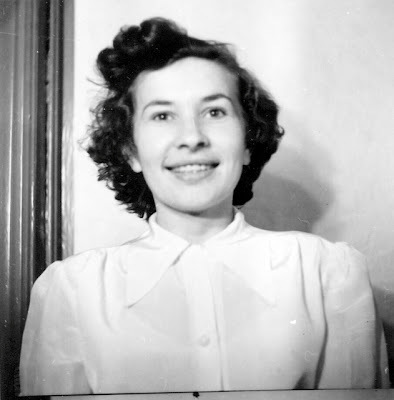 My mother, Margit Grosz Cohen, was born in Veszprem, Hungary in 1928. The following photographs should serve as evidence that my mother is one of the cutest chicks in the history of the world. 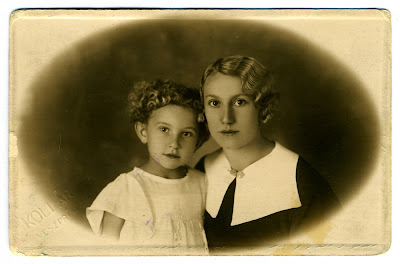 Above, Mom around 1932 with my Aunt Etus. 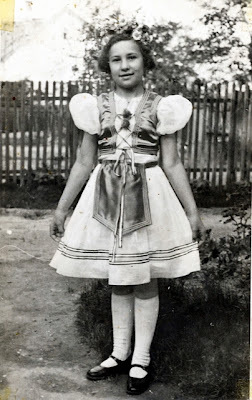 Below is one of my Mom's favorite pictures, in her Hungarian national dress, taken just before WWII. 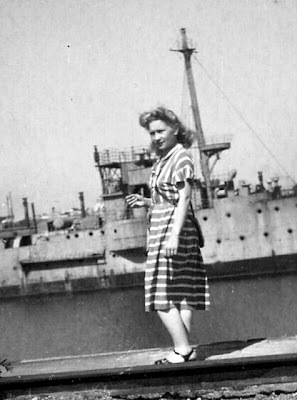 My Mom's family survived WWII intact - an amazing epic story which is worth a book in itself - except that my mother became a refugee in Austria during the war. 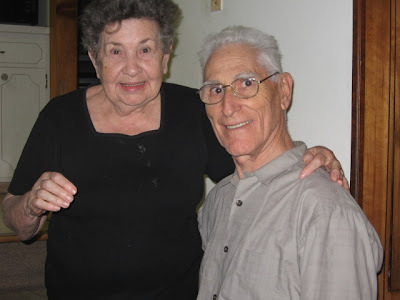 Thanks to the kindness of an Austrian doctor's widow, Frau Schmidt, my Mom was able to survive a year in Nazi Salzburg and the following years until she was able to emigrate to the US in 1948. 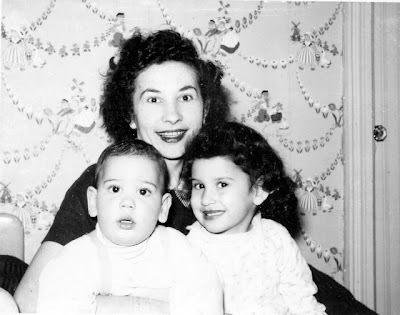 After arriving in the states, Mom worked as a governess before finally settling in New York and working as a seamstress. 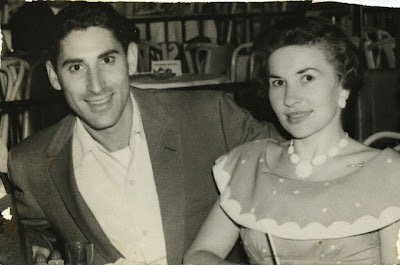 My father met my mother around 1951 in New York. 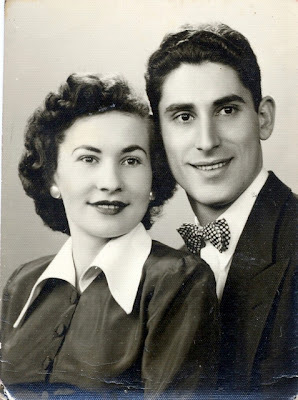 He was a young NY Police officer, and there was a dance set up by the Ladies Garment Workers Union with the New York Jewish Policeman's Association.... the rest is history... Now, I ask you... is that a good looking couple or not? 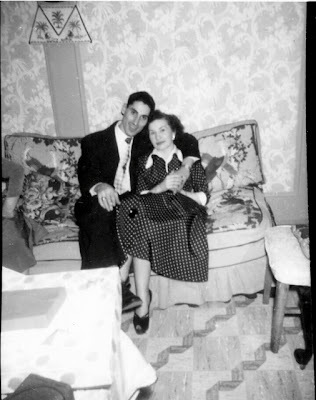 My parents married in 1952. And pretty soon, along came my sister, Pam. 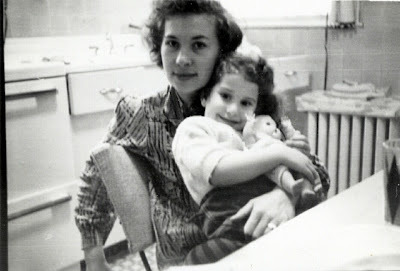 And then, on February 18th, 1956... me. Yes, I was my mother's birthday present that year. Still... is this not the Cutest Mom in the World? And fulfilling all expectations, she still is! Nothing makes me happier than to have my parents with us, still healthy and happy after so many years. Happy Birthday, Mom! Having eaten Hungarian food all of my life, I don’t consider it the least bit exotic. I’m pretty parochial about what I like – Magyar cuisine is peasant food, and doesn’t stand up well to being “reformed” “fusioned” or “updated.” Hungarians – always class conscious to a fault and desperately eager to be trendy – might debate me about this, but when they go home to Mama’s for Sunday lunch it’s going to be sour cabbage and bacon grease or nothing else for them. Given the proliferation of strange, fusionoid and terrifyingly expensive restaurants that have popped up in Budapest over the last five years, there are few places where I can still find honest old fashioned Hungarian food. Without hesitation, my favorite place is the Kádár Étkezde on Klauzal ter, in the heart of the Jewish Ghetto. 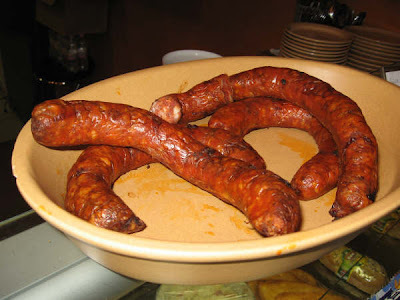 If restaurants were rated on the basis of how many uniquely oddball quirks they affect, the Kádár Étkezde would be the Peewee Herman of chow houses. It is only open for lunch. There is no real private seating – you usually share a table with a stranger. There is a seltzer bottle on each table, and you pay by the glass on the honor system. You don’t pay the waitress after your meal – you go to the guy in the white doctor’s coat standing by the door, recite what you ordered, add in how many glasses of seltzer and pieces of bread you had, and then, after paying, return to the dining room and personally slip the waitress a tip. The walls are covered with autographed photos of Hungarian celebrities of yore. It’s been like this for years. The Kádár Étkezde was one of the only private restaurants that existed during communist times, so they had to improvise the basic practicalities of capitalism, like how to pay for a meal. The Kádár serves old fashioned Hungarian food that never shows up on upscale menus - things like spaghetti with powdered sugar and poppy seeds, or goose wings cooked into a huge plate of rice pilaf. They have the classic communist era soft drink “malna” on the menu – a glass of seltzer with raspberry syrup. The best items on the specials list disappear within an hour of opening, and you get limited top the regular menu, such as beef stew with galuska dumplings… Due to the arcane rulings of Hungarian restaurant law, foods must be prepared and served on the day they are cooked – meaning that complex dishes that are best left to sit overnight, like most stuffed cabbage dishes, never appear on Hungarian restaurant menus at all. The Kádár gets round that by digging deep into the old fashioned regional cabbage glossary and coming up with things like “sloppy cabbage” or “Kolozsvar cabbage.” Ground pork, rice, sour cabbage, sour cream and paprika baked into an East European peasant version of lasagna. Kádár is famous for its solet – which is the local, specifically east Hungarian version of the Yiddish cholent. At Kádár it is served only on Friday, and it sells out fast. Kádár solet is served with a piece of smoked pork. Cholent with treyf? Yes. Kádár is ostensibly a Jewish restaurant, located in the heart of the Pest Ghetto, but it accurately reflects its clientele: assimilated Pesti zsidók who aren’t in the least bit kosher but who can’t live without easy access to goose pilaf or matzo ball soup. There is no sense of irony about it. Count how many of the celebrity photos on the wall are posing next to Tony Curtis. No irony at all. It's hard to explain where, exactly, a musical passion comes from, but when I was fourteen my uncle Jozsi bought me a record of authentic Hungarian folk music and a fiddle. On that record was a cut of music from the central Transylvanian plains, a cut of music played by a fiddle band which literally jumped out of the vinyl grooves and nested in my psyche... it became my demon, my sound, and I spent years going after it. The music was from the village of Palatka, and eventually, after years of playing all kinds of music in all kinds of bands, I came to Hungary to try and get a grip on how, exactly, this beautiful and ... weird... music was played and... concieved. [First three photographs taken by the fabulous Fumie Suzuki at a wedding in Palatka in April, 2003] The musicians from Palatka hail from a dynasty of Gypsy musicians led by the Kodoba family, particularly the sons of Lolo Kodoba - Bela, Marton, and Lorinc. Bela, was an amazing - and obese - fiddler (as well as the village garbage collector) whose family fame was that he could eat 28 stuffed cabbages in a sitting. He died in 1998 - heart attack, on stage in Hungary. 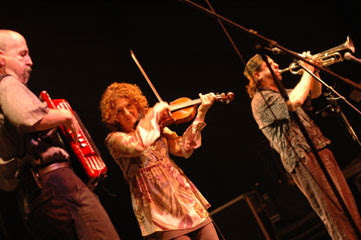 Marton took over leadership of the band, with his son Florin taking the second fiddle role. I struck up a long friendship with Marton after a chance meeting on the street in Cluj, where he had moved after a messy divorce, much like mine. Beer, boiled potatos, and the miseries of newly found singledom bound us. 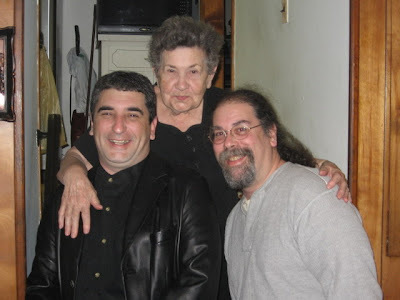 We had several years of fiddling together, during which I finally began to grasp the inner aesthetic of the Palatka style of music - a music in which modal melodies are not harmonized using minor chords at all. It is a style that is archaic by dint of its isolation - nobody ever demanded minor chords. Why use a D minor when an F major would do? 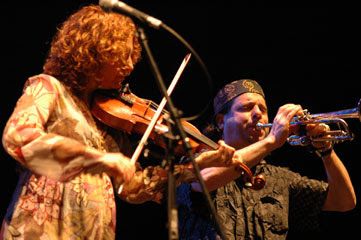 The tension inherent in their harmonies is one of the most exciting facets of Transylvanian Gypsy music. 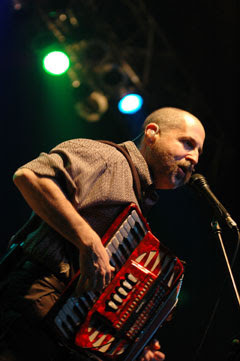 Marton died tragically in 2003 at a folk dance camp in Transylavania, and there was a lot of speculation that the tradition would die along with him. 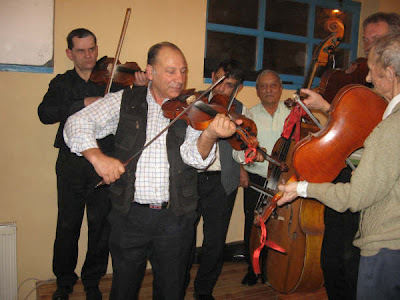 After all, it is getting harder for the village Gypsy bands to get wedding work, when for the same money more modern entertainment, such as a boom-box and some CDs, can be given to the bride and groom as well. 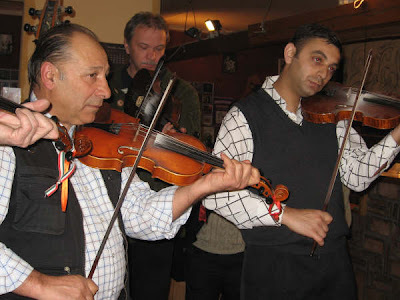 But Marton's brother, Lorinc, moved up the ranks from Kontra fiddle to primas, and Florin mastered not only the lead fiddle, but learned Hungarian and English as well in order to reperesent the band in their newer role as international representatives of "Transylvanian folklore." And they do it damn well, as these picture from their monthly gig at the Fono in Budapest attest. I'll be adding bits and pieces of more youtube recordings as I upload them... because really, if you don't actually watch how these guys bow and move together, you can't learn the music. Sarah Alden, the NY fiddler for the Luminescent Orchestrii, asked me how I managed to learn to play the slow table songs from Palatka. I answered... a bit in my cups... "Oh, it's all in the bowing, you just have to hang with them a bit and watch... and listen to the music until you really get it." How long did that take me? asked Sarah. "Hmm... for me, about 30 years..." Puma, who can be seen sitting in on kontra here, has been at it even longer. He's not even considered a revival flk musician in Palatka... he's actually become the real thing. Sorry for the slow posting... it takes a while to acclimatize my mind to the daily absurdities of life back in Hungary. Apparently Hungary's fractured and fractious right wing is at it again. 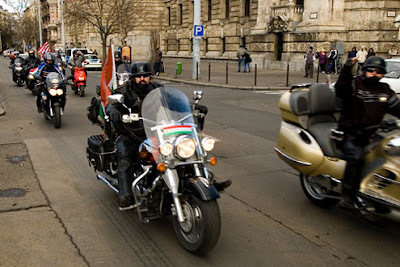 The wingnuts have decided to stir the political pot again this March, and started early with some demonstrations at the Hungarian parliament this week. (Images from Index.hu) The cause this week is the cordon fence erected around the Parliament at Kossuth square after last October's messy and violent anti-government demonstrations. Apparently, Pretender to the Throne of Hungary and former prime minister Viktor Orban - faced with splits in his own FIDESZ party and the possible rise of rival right wing political parties - decided to take the cordon fence down himself. Here we go for our weekly right wing populist putsch attempt! Of course, removing police barriers isn't exactly legal, even for ex-law students turned politicos, so once again we have the beginnings of a great Hungarian Tempest-in-a-Teapot to watch for the next few weeks. Already, walls around Budapest have been spray-painted with the slogan "MUK" which stands for "We'll Start Again in March." This was a slogan used in the winter of 1957 after the 1956 Hungarian revolution. Recycling old slogans is very big here. 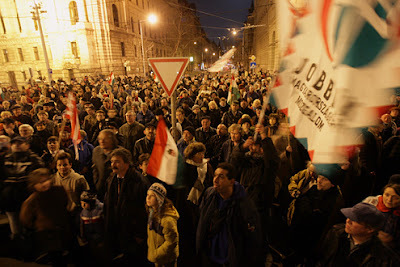 The FIDESZ TV news channel, Hir TV referred to the incident as the "removal of the Iron Curtain." 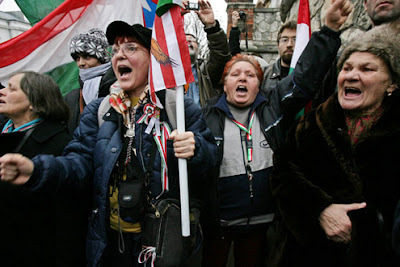 And here we have the néni brigade, the angry aunties, complete with the Arpad-striped flag. It's not just a gaggle of irritating old women screaming at you, it's a gaggle of irritating old women holding flags that hark back to Hungary's Arrow Cross Party, the gang of hoodlums that Adolf Eichmann appointed to exterminate Hungary's Jews even as the Soviet Army was rolling across the Puszta in 1945. The Arpad flag is just one of the more hateful symbols used by the Hungarian right. Above are the... "Goy Motorcyclists"... a motorcycle club that uses their rather expensive touring bikes at right wing rallies to make noise, slow traffic, and intimidate the police. They are called the Goy Motor Club so that nobody will get any idea in their head that they are... well, as they say, "not Hungarian." In Hungary, behind every Right Wing slogan lies an antisemitic sentiment. Well, at least we can all agree on one thing... eat more kolbasz!